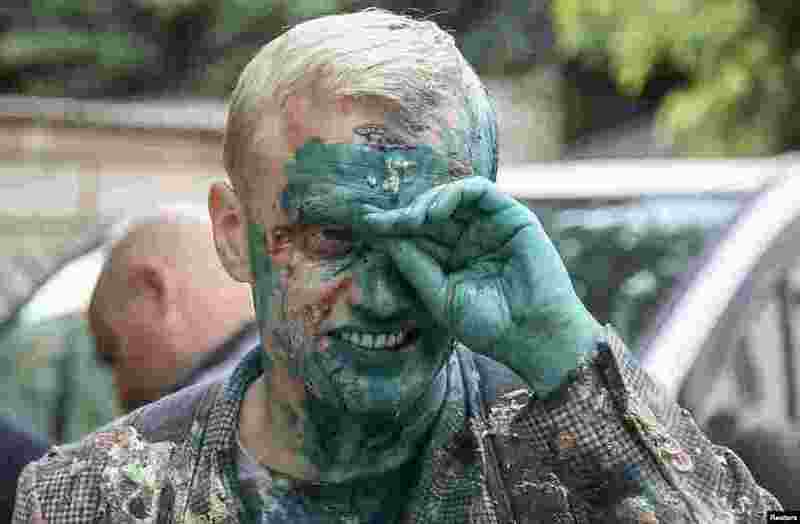 1 Vitaliy Shabunin, head of the non-governmental Anti-Corruption Action Center, reacts after he was splashed with a green substance during a rally in front of the Specialized Anti-Corruption Prosecutor's Office in Kyiv, Ukraine. 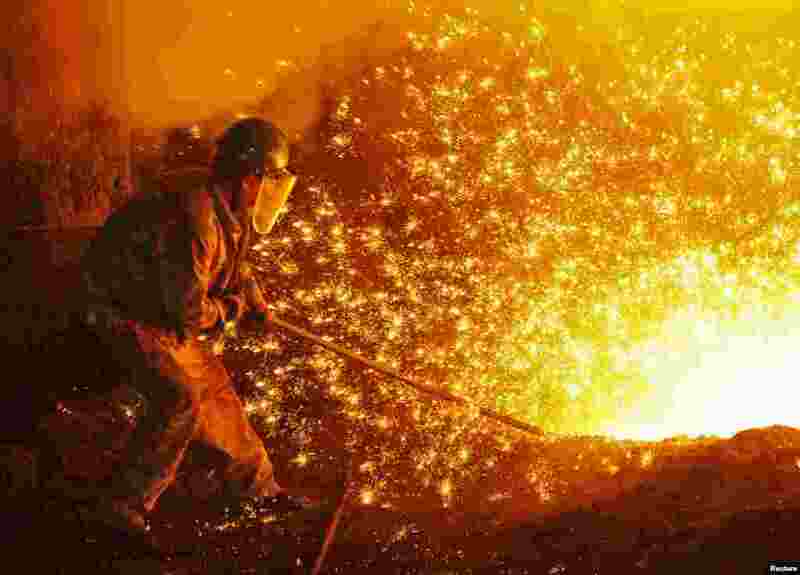 2 An employee works next to molten iron at a steel mill of Dongbei Special Steel in Dalian, Liaoning province, China. 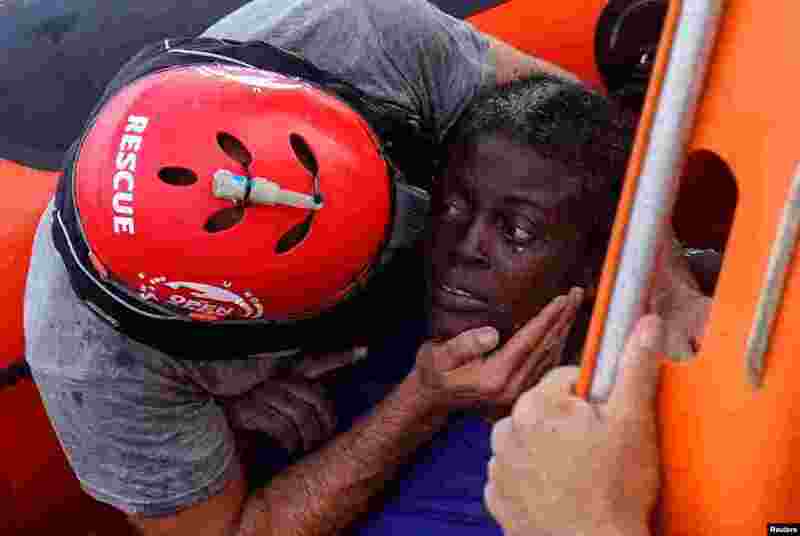 3 A crew member of the NGO Proactiva Open Arms rescue boat embraces an African migrant in the Mediterranean Sea. 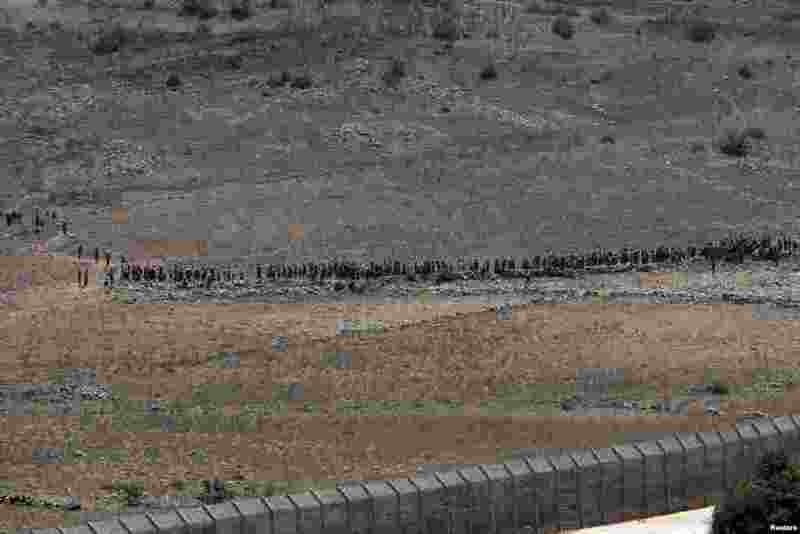 4 People start to walk away from the border fence between Israel and Syria at its Syrian side as it is seen from the Israeli-occupied Golan Heights near the Israeli Syrian border.